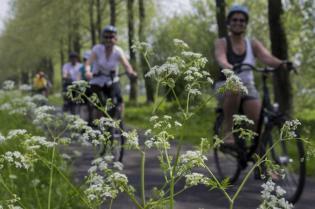 During this tour you will cycle to world famous destinations such as Amsterdam, Utrecht, Antwerp, Ghent and Bruges, while at night you will relax in the comfort of your floating hotel. This tour takes you through the province of Zeeland - essentially one big river delta of the Rhine, Meuse and Scheldt Rivers - famous for its fantastic beaches, water sport activities and Delta works and through the western Flanders region of Belgium famous for its medieval towns and superb food and drink. 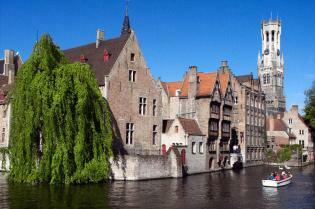 Attractions along the way include many charming villages, a visit to a real Dutch cheese farm, the 19 famous Dutch windmills of Kinderdijk and the world famous cities of Antwerp, Ghent and Bruges in the western Flanders region of Belgium. 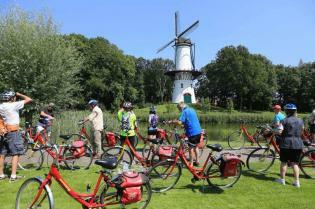 This tour can be done in both directions (Amsterdam-Bruges or Bruges-Amsterdam) and on various ships.